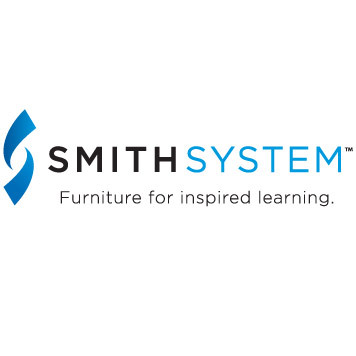 We are a proud authorized dealer of Smith System furniture products. Smith System is a manufacturer of innovative products that make educational environments more healthy, comfortable and inspiring for students and educators. The spirit of innovation is not confined to their products, rather it extends to the thinking, processes and materials they use to design, manufacture and even ship them. The feeling at Smith System's manufacturing facility is, "We don’t make K-12 furniture as part of what we do. It’s the only thing we do." Every school wants the best learning environment for students. But there are a rare few with resources to pay top dollar to obtain it. And, frankly, Smith System doesn't think they should have to. That simple belief has transformed Smith System into obsessive tinkerers who spend a lot of time improving the way they work, so that you can get high quality furniture at reasonable prices. Smith System has pioneered several top trends in 21 century school furniture trends. Starting with active and flexible seating, Smith System introduced the Noodle Chair that features a seat pan that moves in all directions for improved mental focus in the classroom. Shortly after the Noodle chair's success the Oodle Stool was well received from schools, libraries and even offices wanting to add a fun alternative seating option to their study and work place. Besides their Flavors and Plato seating lines that can be found in almost every school in the United States and beyond, Smith System classroom tables are just as much an educational staple. From standard adjustable height activity tables, cafe style pedestal tables, to multimedia meeting tables and solid studio tables, Smith System has a table for any educational space. Time tested lines from Smith System include their Planner, Interchange and UXL series that schools order and re-order year after year. New lines such as the Elemental Activity Tables and Studio Planner Lab tables are growing in popularity and really highlight one of the many gems about Smith System's furniture, their color selection. Collaborative learning is another school furniture trend that Smith System mastered early on. Browse through Smith System's Collaborative Desk section and you will see unique shaped student desks that allow for fluid learning styles that are so common in today's curriculum. From Wing Desks to Diamond Desks, you can suit just about any group learning layout with a Smith System classroom desk. 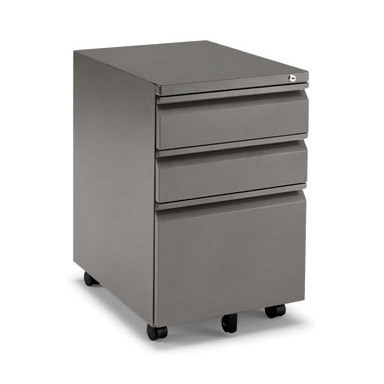 Thinking about how classrooms function and the processes that teachers use to keep organized, Smith System developed an entire line of storage furniture called Cascade. Cascade mobile storage cabinets are designed as a customizable system for organizing, storing, distributing and even presenting materials to students. Smith System's Cascade storage solutions house clear totes in varying sizes and the whole unit can be wheeled from room to room as resources must often be shared. Teachers organize class materials by subject or lesson, and a tote can be assigned to an individual student which can be stored under their desk using Smith System's housing system. Due to the breadth of colors and options available from Smith System, returns are not accepted for their products. Please contact us for color swatches and questions about sizing issues prior to ordering and we're happy to help!